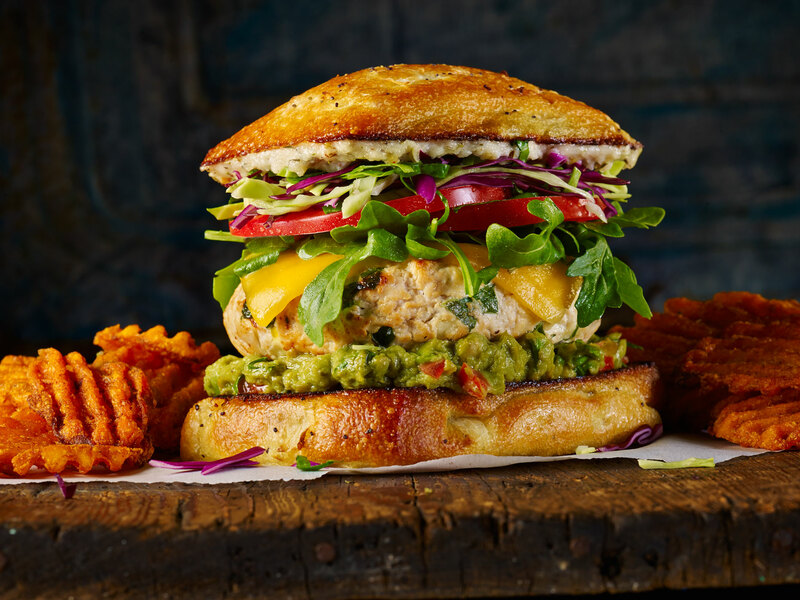 Zesty chicken sandwich with guacamole. Food photography done by Joe Brooks. The leading food & restaurant food photographer in all of Florida.